Quick overview Posters by their very nature are ephemeral: crookedly plastered on a roadside billboard, and tacked to the back of a tabac. Organized thematically into subject categories (aviation, communication, fashion and more), this book includes over 300 examples by masters of the art form, including Nizzoli, Cassandre and Beall. Posters by their very nature are ephemeral: crookedly plastered on a roadside billboard, tacked to the back of a tabac, they lasted a few weeks until advertisers issued another imaginative argument for soap or an ocean voyage. While few contemporary observers understood the richness of their design or appreciated the ingenuity of their unsung creators, they are now highly prized. William Crouse, long-time poster aficionado, has selected over 300 of the most sought-after examples of poster art created between the wars to include in this definitive volume. Organized thematically into subject categories (aviation, communication, fashion and more), this book includes over 300 highly rare and even unique examples by masters of the art form, including Nizzoli, Cassandre and Beall. Each poster digitally photographed under carefully controlled conditions is accompanied by an expanded caption that addresses the aesthetic, sociological, economic and/or political context of the image. 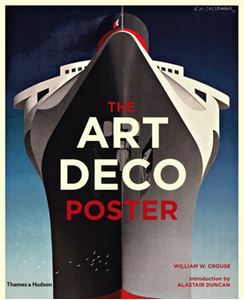 Introduced by Art Deco specialist Alastair Duncan, Art Deco Posters is an essential addition for all interested in graphic design, Art Deco, and life and culture between 1919 and 1939.